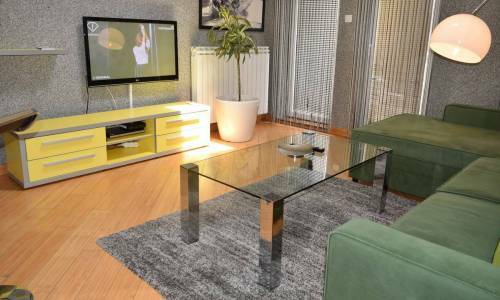 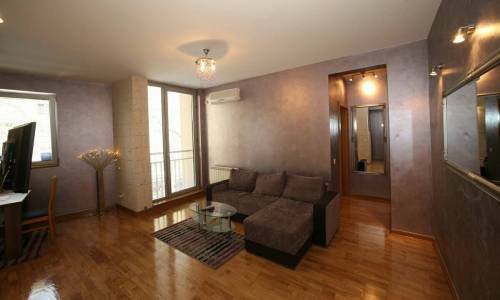 Apartment Duga (Rainbow) represents top accommodation in Belgrade, because it is a luxuriously decorated modern high-quality apartment. 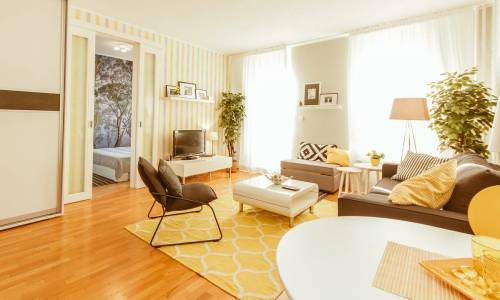 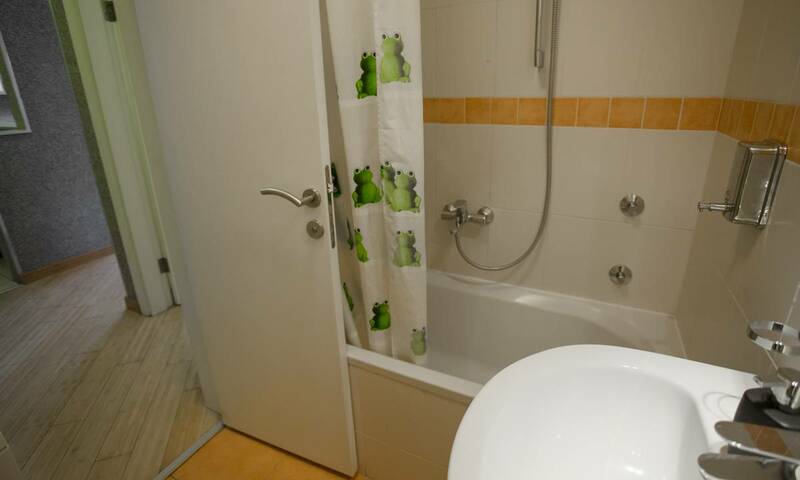 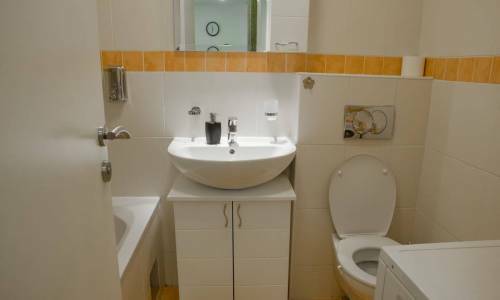 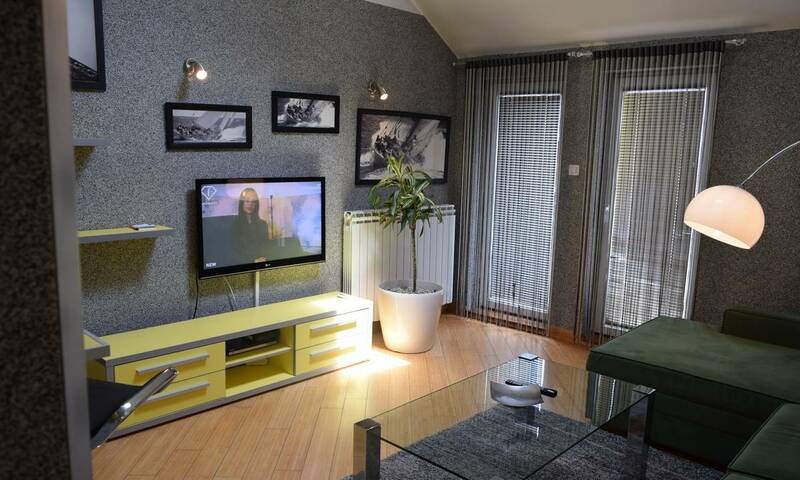 It is located in one of the classiest neighborhoods in the city, on quiet Kajmakcalanska street. 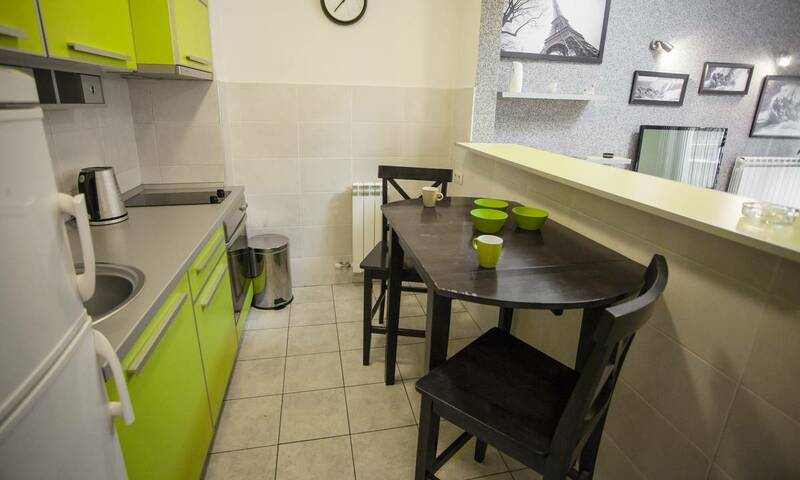 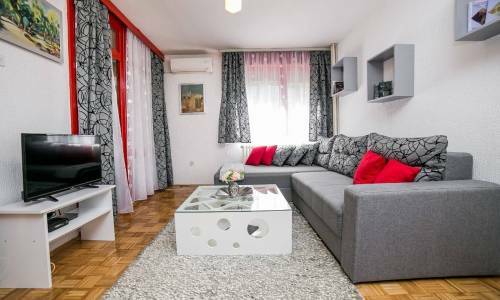 In the immediate vicinity of this Belgrade apartment, there are Bulevar Kralja Aleksandra Street and Vukov spomenik (the Vuk monument) as well as several well-known Belgrade restaurants. 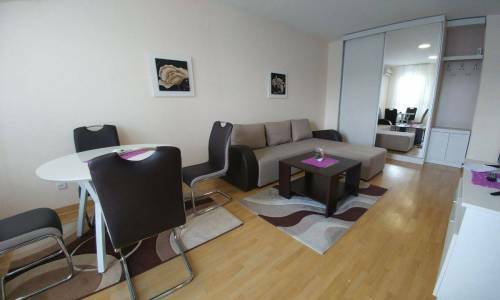 This area is well-connected to other parts of the city by means of public transport (bus and tram). 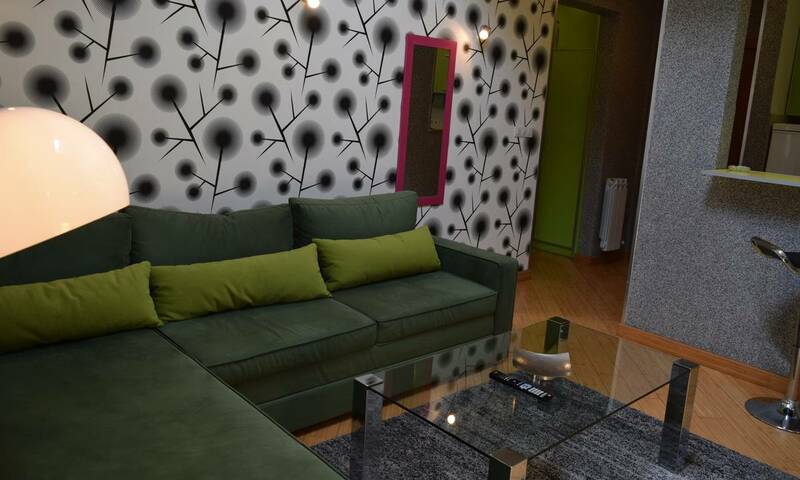 The apartment is located on the 3rd floor of a modern new building built in 2008. 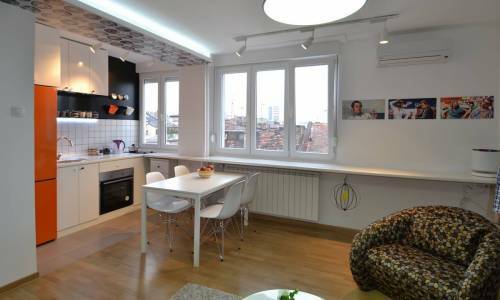 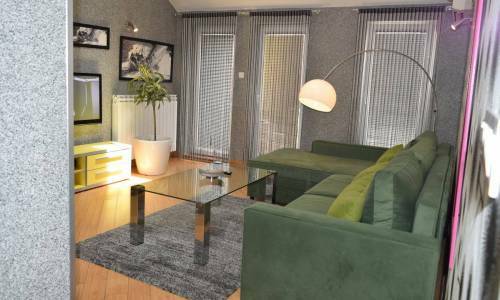 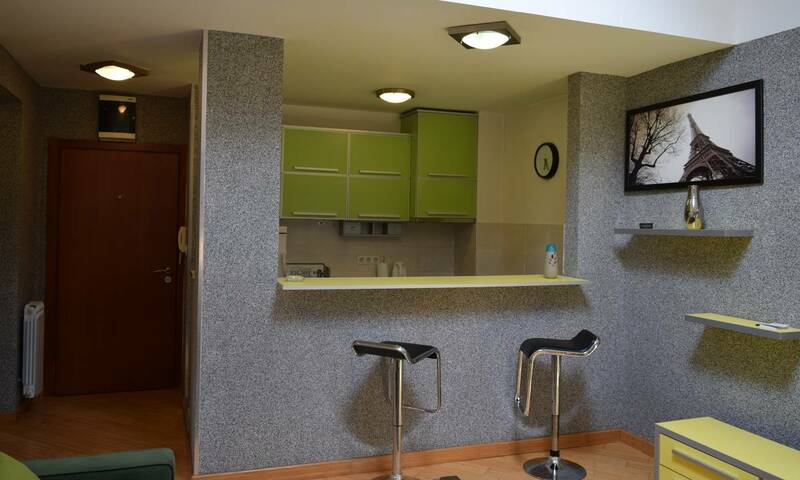 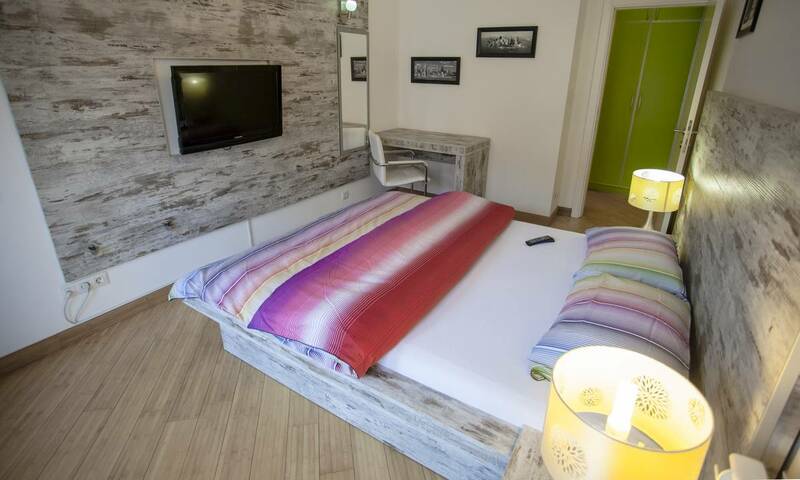 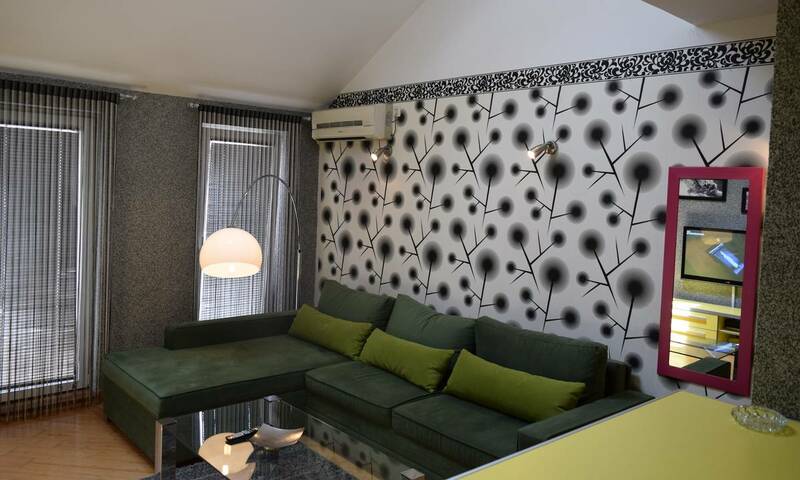 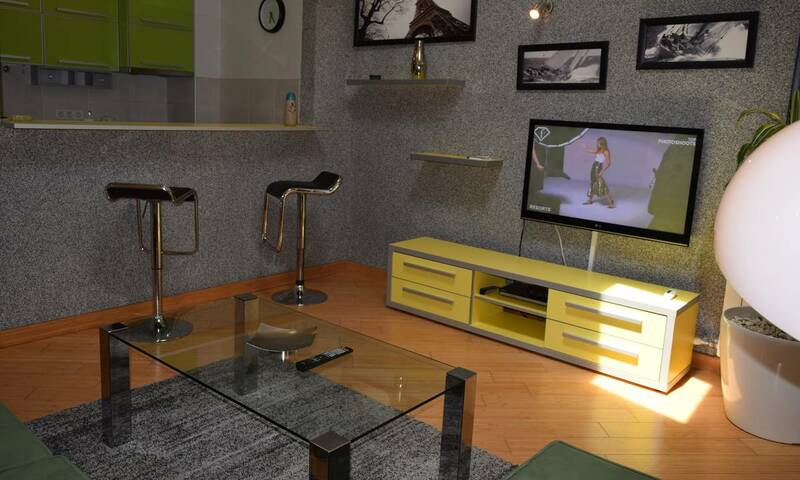 In the same building you can find two more apartments – Bulevar and VIP. 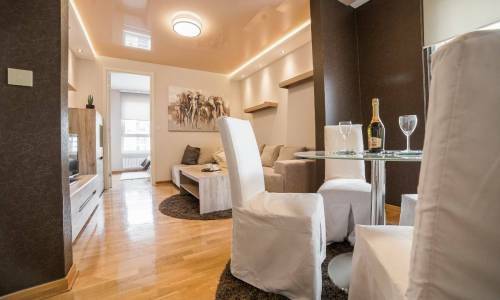 All three apartments represent a blend of luxury, beauty and style. 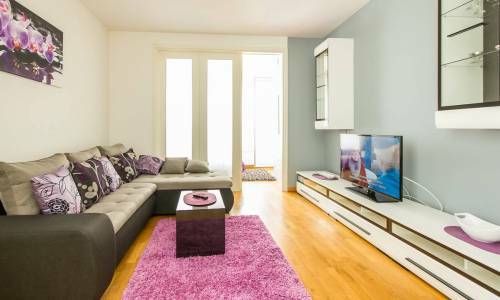 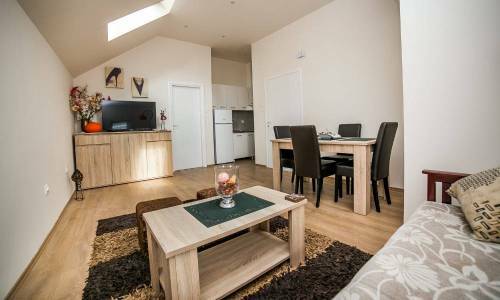 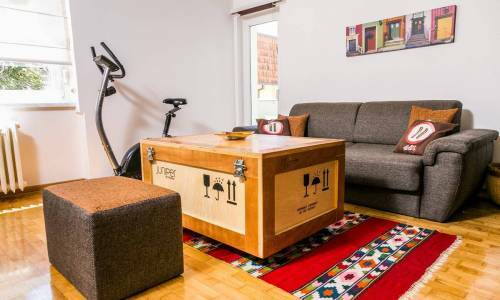 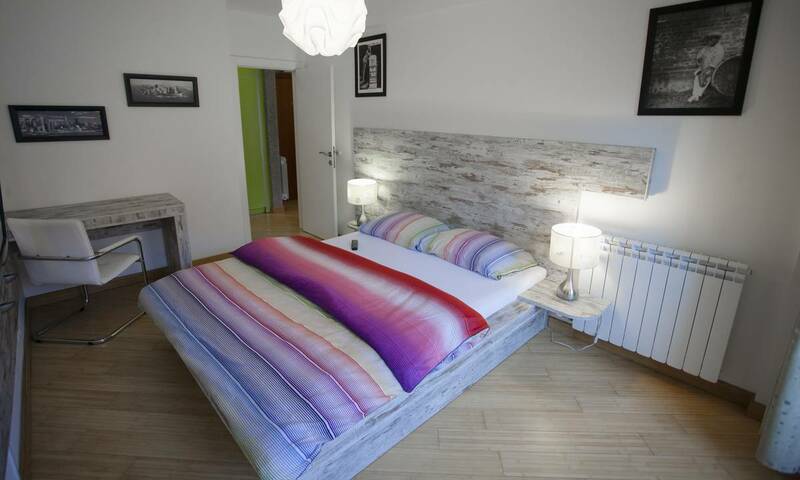 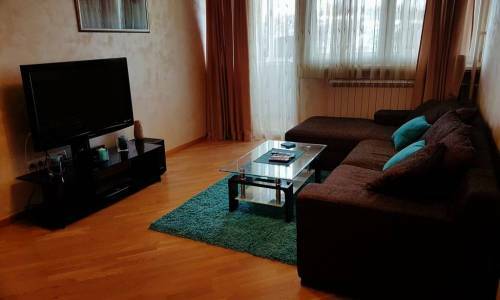 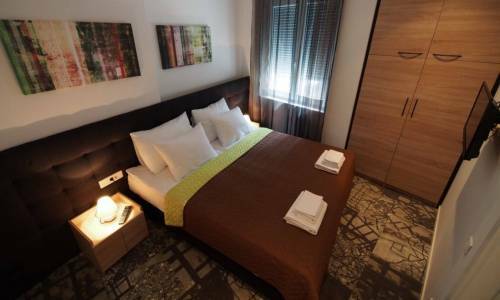 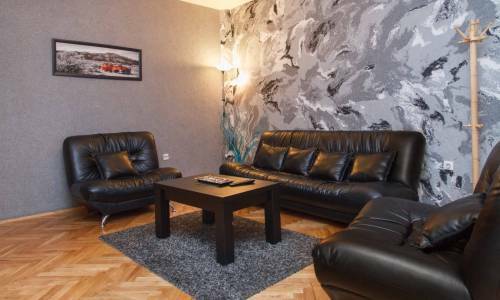 Apartment Duga is fully fitted out for a pleasant and comfortable stay in Belgrade and includes a living room, a bedroom with a terrace, a kitchen and a bathroom. In the living room there is an L-shaped fold-out sofa bed, while the bedroom contains a double bed, so this apartment can accommodate up to 4 persons. There is free parking in front of the building.